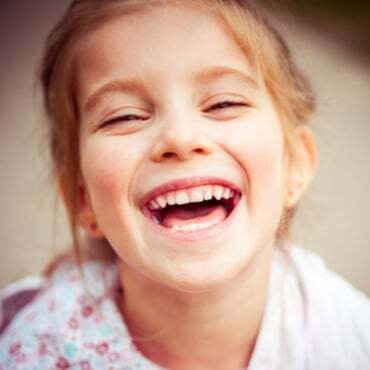 Why is it important for my child to have an orthodontic screening by age 7? Are you wondering if or why your child should have an orthodontic screening examination by age 7? If you don’t read beyond this paragraph, please be aware that this is a very strong recommendation for your child. Both the American Association of Orthodontists (AAO) and Dr. Robert Kazmierski recommend that children have an orthodontic screening by age 7. Many parents are surprised to hear about this recommendation. Others are aware of it and want to know why this is important. After all, most children are not indicated for any treatment at that age. Also, children don’t have all of their permanent teeth by that age. So why is it important that children have a screening by age 7? Well, dental problems that should be be treated early typically fall into one of three general categories. The first and most important of these are the dental problems that can only be treated at 6, 7, or 8 years of age. Their window of opportunity for treatment opens and closes early. The second category includes dental problems that cause other dental or growth problems to develop. Sometimes the problems they cause are worse than the initial problem. Lastly, is the category of dental problems that improve the quality of the final result when they are corrected early. Dental problems in all three categories represent good reasons for early interceptive treatment. A good example of a problem that frequently can only be treated at a young age is underbite. This is when the lower front teeth protrude beyond the upper front teeth. Sometimes, leaving this problem untreated at a young age can actually lead to the need for jaw surgery later on. However, if the problem is intercepted early, surgery can often be avoided. Crossbite is a good example of a problem that can cause other problems if it is not treated at a young age. A crossbite is when the upper back teeth hit inside the lower back teeth, instead of the outside. Leaving this untreated can cause the lower jaw to actually grow asymmetrically to either the right or left side. When viewed from the front, these patients will have a chin button that is asymmetric to either the right or left. Correcting a crossbite early can help prevent this and other problems from developing. Patients with severe crowding and prematurely missing baby teeth are also frequently in need of early treatment. Treating severe crowding early can sometimes eliminate the need for permanent tooth extractions later on when the patient is ready for full braces. Likewise, maintaining the space of a prematurely missing baby tooth can also help to prevent the need for extractions later on. These are just a few examples. There are many other situations that we screen young children for. Of course, most children do not need early treatment. For them, getting a screening by age 7 can set their parents mind at ease. They know that their child does not have a problem that needs treated early. If you would like to read more about early treatment, please click here. If you would like your child to have a complimentary screening appointment with Dr. Robert Kazmierski, please click here or call us at (856)727-0177 to schedule an appointment.